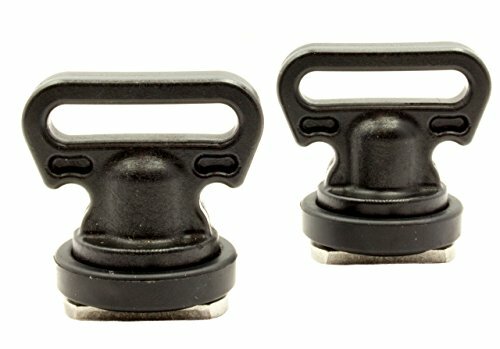 The YakAttack Track Mount Vertical Tie Downs come with a Mighty Bolt base that fits in any YakAttack GearTrac, MightyMount or most other factory installed track systems. Perfect as an anchoring point to secure a cooler or any other accessory to the track. Designed to work with 1 and 1.5 inches flat webbing and can also be used with bungee. Made in the USA from premium materials for a lifetime of use in even the harshest environments. The YakAttack Vertical Tie Down 2 Pack is an easy way for you to strap down anything on your vessel.